For the second time in his career, former Seward County Saints Kelby Tomlinson has been selected to the opening day roster of the San Francisco Giants. It was revealed Tuesday night after the Giants made their final cuts to their Opening Day, 25-man roster. Tomlinson played in 21 games during Spring Training, batting .260 with one triple, three RBI and three stolen bases. After starting out slow to begin February, Tomlinson etched secured his spot on the Giants roster by batting .282 in the month of March, including three multi-hit games. 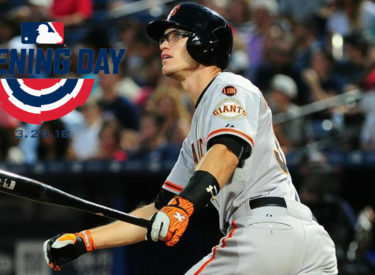 Tomlinson played a major role for the Giants a season ago, appearing in a career-high 104 games and 194 at-bats. He hit .258 last year with four doubles, two triples, one home run and 11 RBI. He added a career-high nine stolen bases. His batting average was good enough four 7th on the Giants, while his nine stolen bases were the fourth most on the team. The former All-American Saints shortstop is expected to serve as the Giants primary backup at shortstop, while also relieving second and third base throughout the season. Tomlinson, along with the rest of the 2018 Giants will open up their 2018 campaign with a four-game series on Thursday on the road against the Los Angeles Dodgers before returning home for a two game series against the Seattle Mariners on April 3rd and 4th. The Giants will be back in the Midwest with a three-game road series against the Colorado Rockies on May 28-30 at Coors Field in Denver.